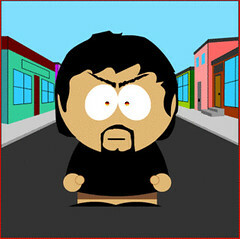 Check it out, me as a Southpark character, note the fire in my eyes. Now go make one for yourself. Note that they dont have a save option so do a screen grab of it when your done then throw it in your image editor of choice.